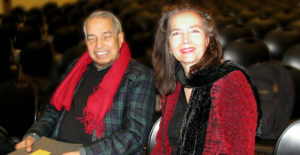 Chakrapani Ullal has been called the “father of Vedic astrology in the Western world.” A great Vedic astrologer who came to the U.S. from South India in 1979, he previously studied law and business in India, having learned Vedic astrology from a young age at the feet of his father and grandfather. He first became widely known internationally as the astrologer for Swami Muktananda, who invited him to come to the US in 1979. 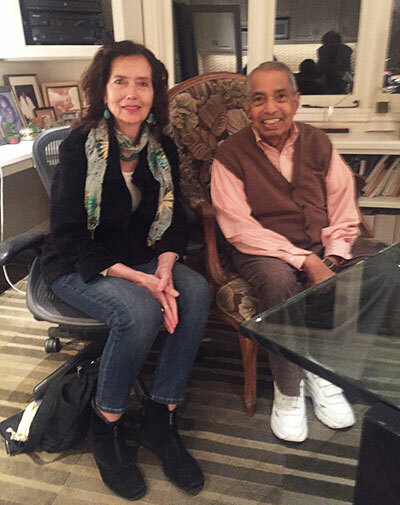 His service to so many clients in his busy astrological practice over the decades, and the knowledge he shared with so many students and practitioners will be treasured for many years to come. 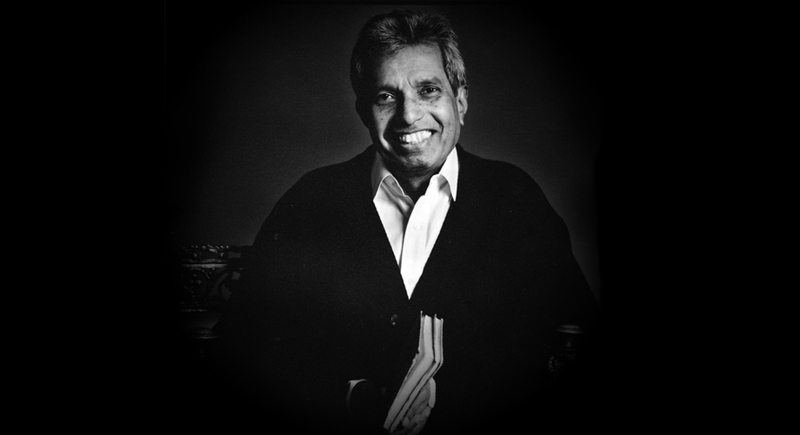 Chakrapani died on Saturday, October 28, 2017 at 3:10 am Pacific time, Beverly Hills, CA. He had been suffering since August with the return of a leukemia-like condition, and in the hospital since early September. I received a message that morning, but because I was involved all day in a memorial service and various family events for my sister-in-law in the San Francisco area, I did not pick up the message until 6:30 pm. Chakrapani’s passing is indeed a moment of great magnitude for me. I was concerned for his health this year, as many of us were. It was also 29 years (a full Saturn return) since my first-ever contact with him. He provided my first serious introduction to Vedic astrology and was a decisive catalyst. He has been a great friend and mentor to me ever since, especially from the early 1990s onward, when we collaborated on various astrological research projects. We spoke often by phone, and fortunately we had a chance to have a wonderful evening together in Los Angeles in early June. He had some back pain but was otherwise in excellent spirits. My partner Jim and I were in Oakland, CA for 5 days from Thursday October 26th, staying with Jim’s son & daughter-in-law, Galen and Casey. We were there especially for my sister-in-law’s memorial service Saturday morning, preceded by a tour of the new sanctuary. She was a Sufi, and very involved in that organization for decades. She died Aug. 26th. The service and reception were at the Sanctuary for Sufism Reoriented in Walnut Creek, CA, founded originally by the Indian-born spiritual master Meher Baba. The whole day and previous evening were spent in this mode, followed by a dinner for 12 at Galen & Casey’s house in Oakland, an event they call “Friendsgiving” and a preview to Thanksgiving. At the end of the meal, each person at the table spoke for a few minutes about what they were grateful for, and I told them about my extraordinary day so full of confluences, and the passing of a man earlier that morning who has been an extraordinary influence in my life: my mentor and great good friend, Chakrapani. In late spring 1988 I was a consulting astrologer in professional practice for 8 years and a student of the subject for 12 years when a returning client came to me and insisted that I find in Western tropical astrology how this Vedic astrologer had successfully predicted a specific event – an accident while she was riding a horse. When I couldn’t find the answer using all my various Western methods, including complex Uranian techniques and Astrocartography, I promptly booked an appointment with that astrologer – Chakrapani Ullal. Our first meeting was by phone. He was in Los Angeles and I in Santa Fe, New Mexico, where I lived from Feb. 1983 for 21 years before moving to the West coast. My next appointment with him was in late summer 1990, when we first met in person; but he had sparked my resolve to study Vedic astrology from late spring 1988. My Vedic studies began informally from that time as well, including with David Frawley, who – fortuitously – also lived in Santa Fe and whom I knew socially for a few years previously. From fall 1988 to spring 1989 I was writing my first book on astrology, Navigating by the Stars (commissioned by a foreign publisher and published in 1991 by Llewellyn). The book was based on Western tropical techniques; thus, Vedic astrology was initially more of an adjunct to my Western techniques until the early 1990s. From fall 1992 onward I attended Chakrapani’s lectures and intensives at conferences at least once a year or more, and where I had the opportunity to be on the same faculty. By 1995 we were also both board members of the same Vedic astrology organizations. Also by 1995 Chakrapani became more and more of a mentor, in addition to being a friend and colleague. 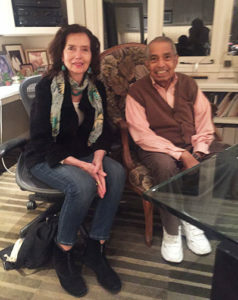 This was indeed both an honor and a privilege, as talking with him often and on a one-to-one basis deepened my grounding in the subject and provided the oral transmission Vedic astrology so famously touts. We discussed many matters that astrologers grapple with, both technical and philosophical, and often through specific charts. I found the Vedic classics poetic but full of conundrums and at times blatant inconsistencies. This was especially true with Graha Yuddha (Planetary War). When I mentioned this to Chakrapani in the mid-1990s, he began to share with me his methods for assessing Graha Yuddha, which his father had also used and possibly his grandfather before him. This is true parampara – knowledge used and passed on by a family of traditional Vedic astrologers, while in conformity with the classical rules. I began extensive research on the subject, initially under Chakrapani’s guidance. This developed into numerous lectures and articles from 2000 onward. My most recent article on the subject was published in 2010 (40 pp.) and is available at my website. Chakrapani provided a great sounding board with solid advice at crucial points, including on my 2012 book on Vedic astrology, In Search of Destiny. He also encouraged me to look into Nadi Jyotisha, on which I gave several lectures based on his teachings. What especially resonated for me was the significance he gives to the nakshatra lord, assessing it vis-à-vis the Ascendant chart and whether it is a friend to the Ascendant lord. He also notes the exchange of nakshatra lords (Nadi yoga). Meanwhile, Graha Yuddha was a topic to which I returned increasingly, especially since I saw it had such important implications for the pivotal Jupiter-Saturn conjunction cycles. Chakrapani’s emphasis is always on chart study, with an insistence on looking at the whole chart. He would say: “Keep going back to the Rashi Lagna [birth chart Ascendant] as control point. Chart analysis is all.” This was so helpful, because a set of rules and principles can only come to life when you see them at work in an astrological chart. His example of teaching by charts, and the fundamentals of understanding the chart from the Ascendant (Rashi Lagna) and the Navamsha come from South Indian methods and traditions, some specifically from his home state of Kerala. This, in turn impacted my own astrological methods, whether consulting with clients, teaching, lecturing or writing. My 2002 Audio course follows this approach, and after some initial material on mundane astrology, my book In Search of Destiny (2012) does as well. Chapters 3 to 9 are organized around that principle, and Volume two of this book will continue with Scorpio through Pisces Ascendant charts. From his many decades of experience with clients, Chakrapani has a firm conviction that his methods work. I see it working together with his formidable intuition! This has given me confidence to continue in that tradition while also developing my own original material, which he has generously reviewed in many cases. Chakrapani’s gifts to me and to all those with whom he is associated include not only his breadth of knowledge but his clarity, his depth and subtlety of perception, and the precision with which he is able to instantly grasp the meaning of the planets and make accurate predictions and assessments. I am most fortunate to have learned and continue learning from him and to call him my good friend, colleague, and mentor. Edith Hathaway is an international consultant in practice since 1980, author, teacher, and lecturer of Vedic astrology. Among her many awards and certifications are NCGR’s Level IV (Consulting Astrologer, 1989), Jim Lewis’s Master AstroCartoGrapher, 1988, plus numerous awards from Vedic astrology organizations, U.S. and India. From 1992 she served as faculty and board member of the American Council and American College of Vedic Astrology. Her audio course The Vedic Chart: An Expert Guide Through the Twelve Ascendants (2002) was re-released in 2015 on mp3s with PDFs, and her latest book was published in 2012: In Search of Destiny: History, Biography & Culture As Told Through Vedic Astrology. For her articles (527 pp. ), audio course and lectures on mp3s, please see: www.edithhathaway.com. Copyright © 2017 by Edith Hathaway. All rights reserved.